For two decades, Parkside Community School, a Montessori school in Austin TX, has been providing the best in Montessori education to Austin families. In celebration of the school’s success, Parkside is hosting “Music Matters” at the Austin Music Hall featuring renowned Austin-based singer-songwriter Alejandro Escovedo, along with another Austinite, internationally renowned composer Stephen Barber and fellow Austinites, TOSCA STRINGS. Proceeds from the event will benefit Parkside’s music and development programs. These programs include classical guitar, tuition assistance, classroom enhancements, teacher training and special workshops for our staff. Join us for a fun evening as we remember the past and look into the future of Parkside Community School. This evening’s event will feature Alejandro Escovedo. As a former Parkside parent, Escovedo was quick to lend his support. “I am deeply honored to be a part of this Parkside fundraiser.” he said. “My daughter, Maya, went to Parkside with Claire and Joe Bruno’s daughter, and my youngest, Amala, attended the Parkside School in Wimberley, Texas. My daughters’ time there was a rich and rewarding experience that will stay with them forever. We are very much all looking forward to a memorable evening.” Tickets may be purchased for only the Alejandro Escovedo concert (upper level seating only) for $19. Doors open at 8:45pm and show begins at 9:00pm. 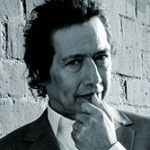 Click here to find out more about Alejandro Escovedo. In addition to Escovedo, we will have the privilege of listening to internationally renowned composer Stephen Barber. Stephen’s two young sons are currently enrolled at Parkside Community School. As a newer parent, Parkside is thrilled by his willingness to support and participate in this evening’s event. Click here to find out more about Stephen Barber. There will also be special musical presentations by fellow Austin Musicians of the TOSCA STRINGS. Click here to find out more about Tosca Strings. Who’s Invited? MUSIC MATTERS is open to all of Parkside’s families, alums, prospective families, faculty, staff and their families (adults only). In addition, the general public is invited and encouraged to attend. Tickets may be purchased online or by calling Shannon at Parkside (512) 472-2559. Tickets are non-refundable. Upper level seating only, tickets for Alejandro Escovedo performance only. Doors open 8:45, show begins 9pm. ** Need sponsorship information by 1/31/2011 for program and presentation. Parkside will contact you regarding the details of your sponsorship. Our History: In early 1991, preparation met opportunity in the form a dilapidated former meat-packing plant at 1701 Toomey Road. Where others saw only broken windows and derelict real estate, Joe and Claire Bruno could see a school. With financial backing from Mary Ann Justman and Wayo Longoria, and commitments from a group of like-minded parents, the Brunos determined to make their vision a reality. Months of frenzied construction ensued. By September 3, 1991, the old meat-packing plant had been transformed and on that day Parkside Community School opened its doors for the first time with 75 children attending classes. Today, two decades later, Parkside has an enrollment of about 130 students, from three-year-olds to 6th graders. And rather than being the new kid in town, Parkside has matured into one of the oldest Montessori schools in Austin. Since 1991, Parkside has been providing Montessori-based education that cultivates social skills and a strong sense of community through school-wide activities and outdoor experiences. From group movement and cultural celebrations to swimming in Barton Creek, Parkside strives for academic excellence as well as rich social experiences that nurture the child, the family and the community. Joe Bruno hopes to build on the music program at Parkside waxing poetically that “music is the math we hear.” He’s continuously inspired by the many musically inclined families who are a part of the Parkside community as well as Austin’s music heroes whose children or relatives have attended the school including Shawn Colvin, Eliza Gilkyson, Sara Hickman, Asleep At The Wheels’ Ray Benson, and Escovedo. Our Goal/Mission: Our goal is for each child to become an independent, self-reliant person with the skills necessary to achieve their goals while also contributing to society. Toward this end, we base our educational approach on the developmental philosophy and educational methods of Dr. Maria Montessori. It takes a whole community to pull together such a wonderful evening. Thank you to everyone who contributed their time and energy so we can all celebrate together. Thank you for all the contributions to our live and silent auctions – there are so many great items. And thank you to those with monetary contributions – this a fundraiser after all!